Step by step we started knowing first details about Kia Motors next generation models, and today is the turn for the smallest one, the Morning. Kia plans to release a follow-up model of its popular mini car Morning in the second half of next year. One of the most important improvements will be the adoption of new light-weight, high-strength sheet metal. 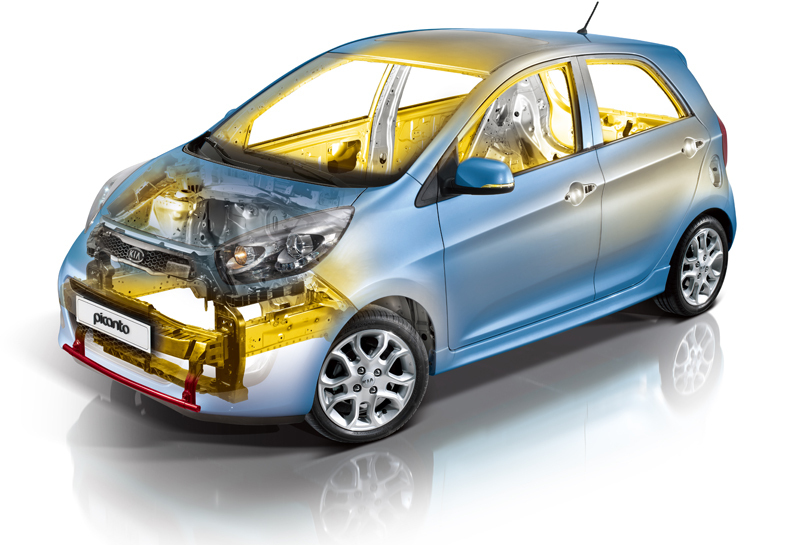 For the current version of Morning (pictured above), the usage ratio of high tensile sheet metal is estimated at 67.5 percent, the highest among small cars, with the weight of the empty vehicle estimated at 910 kilograms. The new Morning (also called as Picanto in overseas markets) will come with higher strength and lighter weight compared to the 2014 model. To cope with today’s light-weight trend which is sweeping through the automobile industry, Kia Motors opted to strengthen the frame of the next generation Morning. The adoption of new sheet metal will likely to lead to an increase in the prices. At present, the Kia Picanto is the second best-selling model in Korea’s car market, with its January-September sales estimated at 67,745 units, behind the all-new Hyundai Sonata.